The pictured individual is identified as Charles Henson, Black Male, DOB: February 16, 1992 (23 yoa) and has been deemed Public Enemy #1. Henson is wanted for First Degree Murder and is to be considered armed and dangerous. Anyone with information on Henson is asked to contact Metro Crime Stoppers. 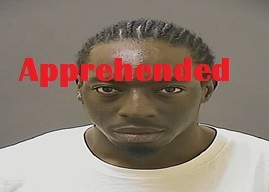 Suspect was apprehended on Friday, February 27.